Arthritis is the inflammation of the joints in your body. 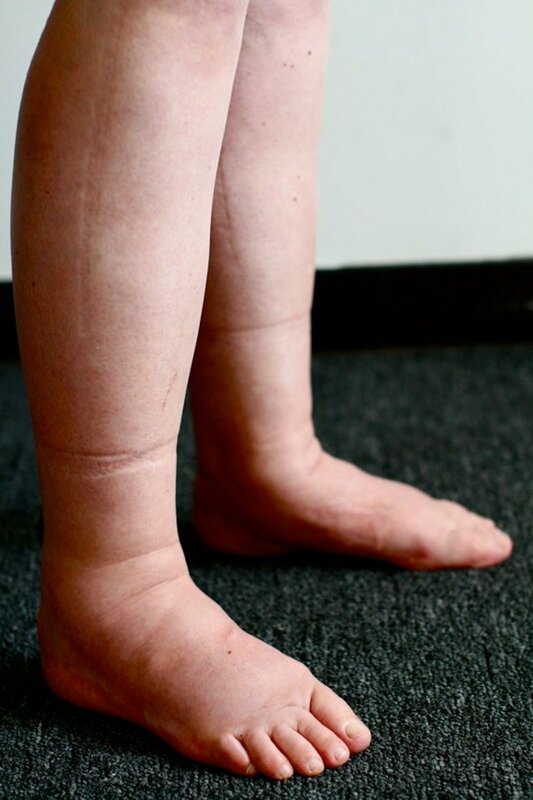 Arthritis causes swelling and pain in the afflicted joints. 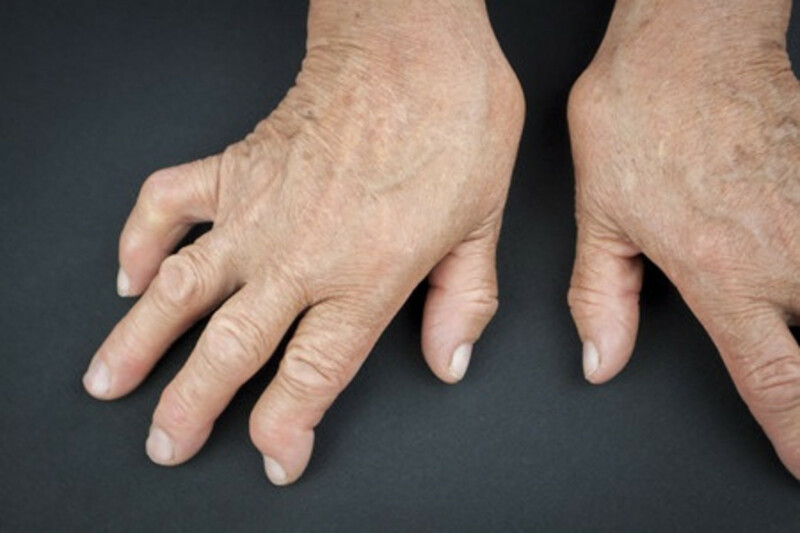 There are many causes of arthritis, including injuries and infections, and there are many different treatments for dealing with it. I take a regiment of nutritional supplements to help with my arthritis. Bu tone of the easiest ways that I have found to help deal with arthritis in the hands is a pair of arthritis gloves. Arthritis gloves will not cure arthritis, but they really make living with it a whole lot easier! Arthritis gloves look like any other pair of gloves with the finger tips cut off. 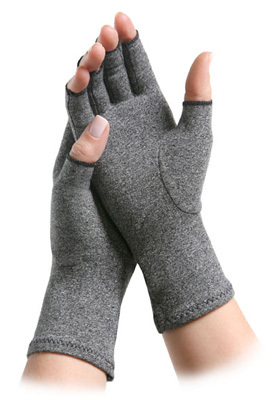 They are generally longer than most gloves, providing relief to any arthritis in your wrist. 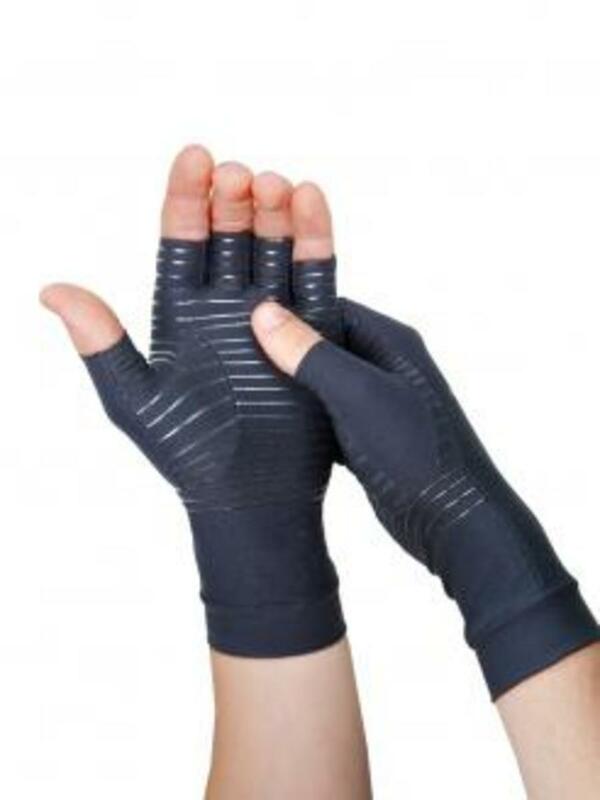 They are designed to provide mild compression on your hands and wrist to help minimize inflammation and swelling and to provide support and warmth. They also help promote good circulation, which is critical to your hands healing. One note: because they need to be snug, not tight, getting the proper fit is imperative to getting the most out of them. Good arthritis gloves are made out of cotton or a cotton/lycra blend which both allow your skin to breathe. The open fingertip design allows you to perform any action that you could without the gloves and makes it easier to grip whatever you are working on. When my mom first told me about her pair of arthritis gloves, I was very skeptical about their ability to provide real relief, but she swears by them now. Given how much better my knees feel when I wear my knee wrap, I understand how important that having the right amount of compression on a joint can really make. Not only does it reduce swelling, it also seems to hold the joints in place. I doubt that extreme cases of arthritis, especially rheumatoid arthritis sufferers, will find them a miracle cure, but I am willing to bet that if you have minor arthritis in your hands and wrist that you will feel better wearing the gloves. The arthritis gloves can be bought from a number of different manufacturers, including IMAK, who makes my mom’s pair. 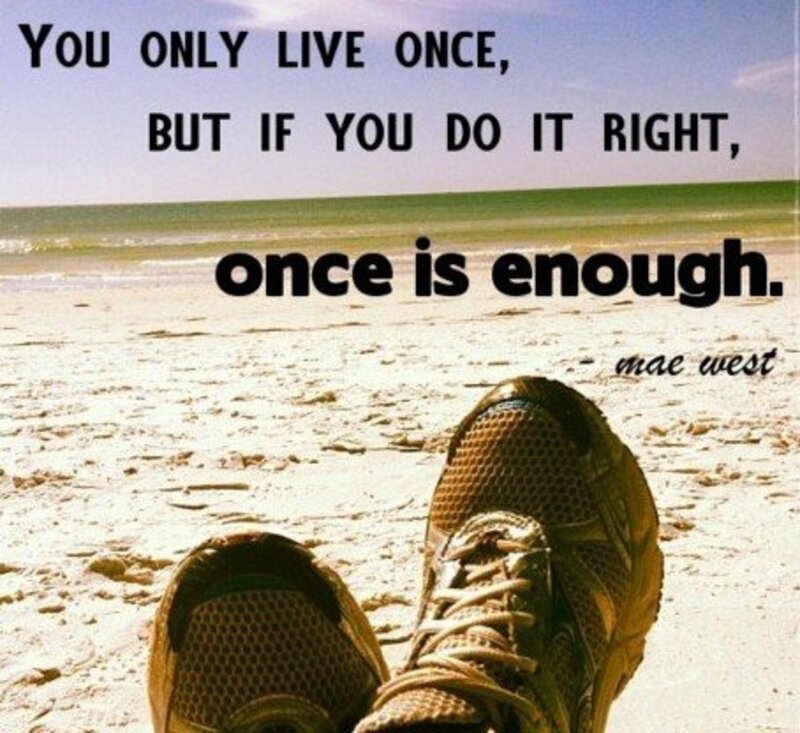 They are available for about $20 from most manufacturers, and can be ordered online. However, given the importance of getting the size of the gloves absolutely perfect, I would recommend finding a storefront that will let you try a couple of different pairs on. You want them to be snug and provide the right amount of compression, but you do not want them to cut off any circulation. You can still buy them from an online seller or health website, just make sure that you know exactly what size you need.